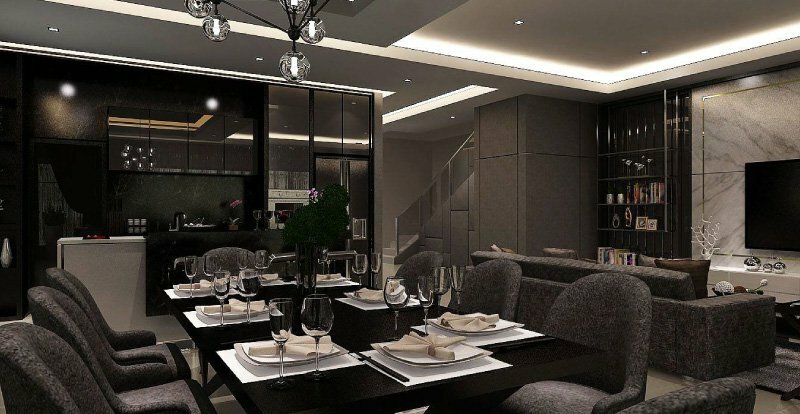 Unico Interior Design And Build - We specialize in design consultation, project management, construction & renovation, furniture manufacturing, interior design & furnishing, commercial/residential design, landscaping and fishpond design. 26A, Jalan Uda Utama 3/15, Bandar Uda Utama, 81200 Johor Bahru, Johor, Malaysia. 22, 24, Jalan Hang Lekir 14, Taman Skudai Baru, 81300 Johor, Malaysia. For many years, Unico Interior Design And Build has been providing interior design solutions according to the specifications of customers. Our headquarter is situated at Johor Bahru (JB), Malaysia. Our main goal is to use all our resources to take customer building to another level. Unico Interior Design And Build specialize in design consultation, project management, construction & renovation, furniture manufacturing, interior design & furnishing, and commercial/residential design. Apart from that, we also engage in landscaping and fishpond design. “Customer First” is the first thing in our mind. We will first listening and understanding customer's ideas and create value added design that suit their style. Whenever you need to share your idea to us, our experience staffs are here to respond your answer at the shortest time possible. Feel free to get in touch with us, if you require more information regarding our services. Unico Interior Design And Build Updated Company Profile — Topbar Banner. Unico Interior Design And Build Updated Company Profile — Home Banner. Unico Interior Design And Build added 8 new products in Furniture Manufacture Category. Unico Interior Design And Build added 14 new products in Commercial & Residential Design - Commercial Design Category. Unico Interior Design And Build added 95 new products in Commercial & Residential Design - Residential Design Category. Unico Interior Design And Build added new product in Commercial & Residential Design - Commercial Design Category. Unico Interior Design And Build added 17 new products in Interior Design & Furnishing Category. Unico Interior Design And Build added 11 new products in Landscaping & Fishpond Design Category. Unico Interior Design And Build added 47 new products in Construction & Renovation Category.